Surveys are a relatively quick and effective way to measure customers’ attitudes and experiences along their journey. Not all customer experience surveys are created equal. Depending on the goals, the type of questions and length will vary. While customer experience surveys can take on any form, it can be helpful to think of them as falling into these seven categories. Customers’ attitudes toward a brand matter. Attitudes affect actions. The annual advertising budgets of most major consumer products speak to this. There’s more to understanding attitudes toward a brand than just asking whether customers like it. You should use a combination of unaided (open) and aided (closed) questions to understand awareness. Drill deeper into product familiarly, affinity, and satisfaction. Finally, gauge future intent (likelihood to recommend or purchase) to understand how branding may affect key events. More on structuring a branding survey. Understanding who your customers are (or could be) is fundamental to creating an effective customer experience. Not all customers are created equal. You can usually define several groups by key variables that describe who they are, what they think, what they’ve done, and are likely to do. More on segmenting your customers. Ask a customer whether they intend to repurchase (or revisit) and whether they’re likely to recommend the product or experience to a friend. Include at least one open-ended question for the customer to briefly describe why they rated the way they did. You can keep loyalty surveys short by including just these questions. I recommend also including a few questions about more detailed product or service questions using rating scales to understand the key drivers of loyalty. You can have the best of both worlds by keeping your frequently and widely used loyalty surveys short and only include key-driver items on occasion (say annually). More on measuring customer loyalty. Usability is a combination of attitudes plus actions with respect to an interface (e.g. app, website). It’s best measured by observing real users attempting realistic tasks. This is not always possible, due to costs or logistics of testing (e.g. finding enough qualified users). Many large companies have dozens or even thousands of products for both internal and external customers. A usability survey is one way to quickly get an idea about the strengths and weaknesses. Use a standardized measure like the System Usability Scale (SUS) or SUPR-Q and have respondents reflect on their experiences. Include open-ended questions and a number of more detailed questions about features as well as what problems users encounter. Use this section as input for what products to usability test and what areas of the product likely need improvement. 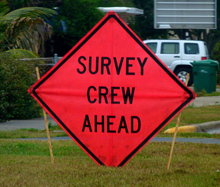 More on using surveys to measure usability. Customer satisfaction is a measure of how well a product or service experience meets customer expectations. Like a relationship survey, you’ll want to measure at a general and a specific level using a combination of open and closed-ended questions with rating scales. You can also measure attitudes toward a brand for non-customers. For example, customers can rate their opinion toward Apple before ever being a customer (attitude), their level of satisfaction with Apple after making a purchase (general satisfaction), their satisfaction with iTunes (product satisfaction), and with synching iTunes with their iPhone (attribute satisfaction). More on measuring customer satisfaction. There are usually too many things a product team wants to do and too little time and budget. Instead of picking the features that the vocal sales rep or angriest customer want, you should more systematically prioritize. While that’s often easier said than done, there are a few techniques you can use in a survey to help prioritize. Two of the more effective techniques are a top tasks analysis and key-driver analysis. In a top tasks analysis, you can quickly separate the trivial features or tasks from the vital tasks by having participants pick only the most important items. If you have a more manageable number of features or items for participants to rate, you can have them rate their satisfaction (or attitude). More on Feature Prioritization and Top Tasks Analysis. One of the most cost effective and easiest ways to understand who your users are and what they are trying to do on your website is to conduct a true intent study. As the name suggests, such studies aim to understand the intended goals and description of actual visitors to a website: who they are, and what they think of the company and website. These surveys are short and usually collected by intercepting users while on the website. No doubt you’ve encountered some of these popups while browsing a website. More on measuring true intent.